After nearly 50 years of empowering people worldwide to drive and sustain their own development, this global nonprofit took a fresh look at its mission, strategic direction and brand. The goal: to create and communicate a clear path forward to align all stakeholders, help the organization achieve its goals, and balance global brand consistency with localized needs. The brand audit revealed the high value of the Counterpart name, and showed partnership to be at the organization's core. 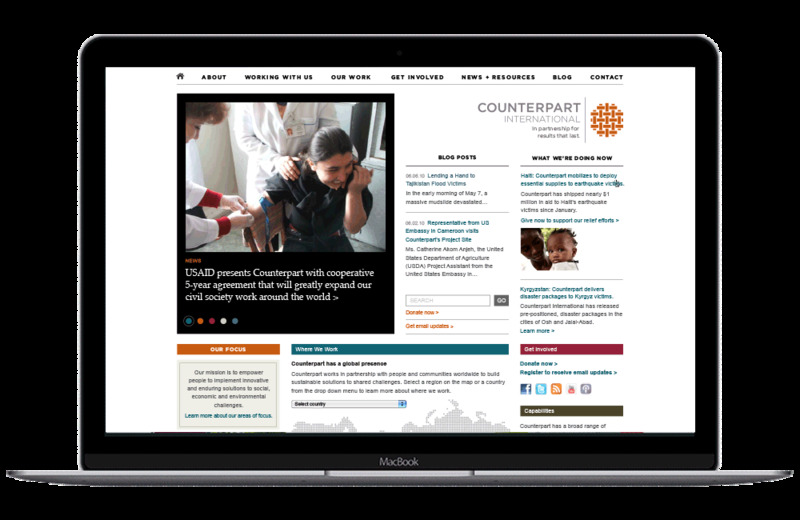 Through a process that built consensus among many diverse stakeholders, Counterpart now has a tighter mission together with a new identity, tagline and integrated communications that put partnership at the heart of its brand. Strategy and design conducted in partnership with Brotherton Strategies.